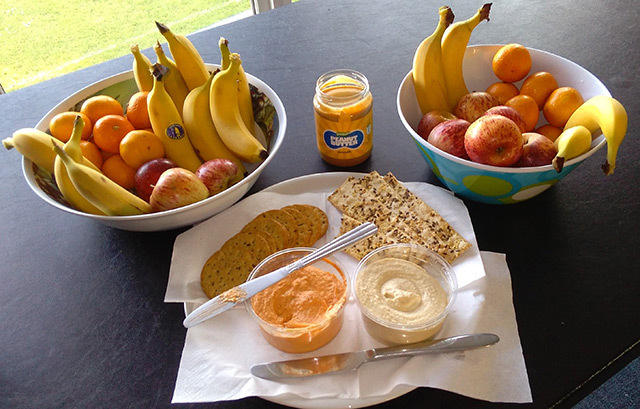 The new equipment purchased through the Healthy Ireland fund is being used at the juvenile training sessions. 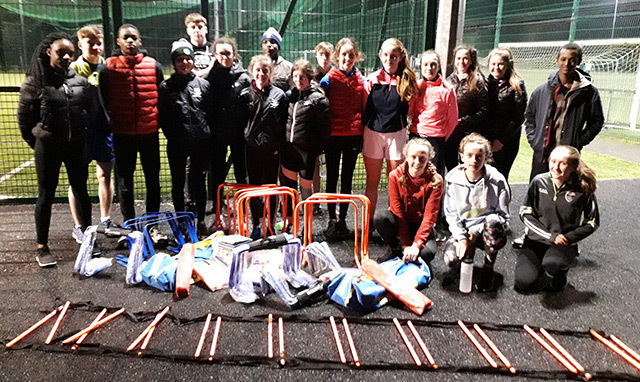 The new equipment purchased through the Healthy Ireland Fund has arrived and is already in use at juvenile training sessions. The agility ladders, hurdles, turbo javelins and relay batons are giving a new dimension to training drills as the juvenile athletes are preparing for the upcoming Connacht Championships. New skills are developing as the action photographs show! 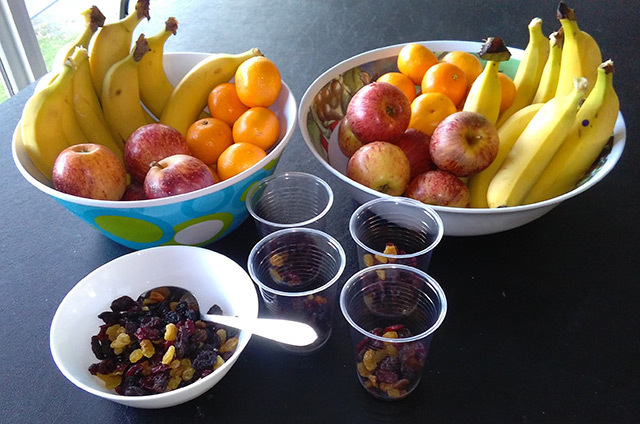 The Club has been involved in a project to promote athletics across the county through the Healthy Ireland Fund. Financial support is gratefully acknowledged from Longford LCDC, Pobal, HealthyIreland and the Department of Health. Congratulations to Longford AC athlete Cian McPhillips who was named Athletics Ireland Juvenile 2018 Star for Longford for the 3rd year in a row. The Annual Juvenile Awards banquet was held on 16th February in Tullamore with Irish athlete Kate Veale as guest speaker. This year Cian also received the Juvenile Committee Special Recognition Award for Outstanding Performances in 2018. 2018 was Cian’s most successful year in athletics to date. The highlights of the year included representing Ireland in last summer’s European Youth Championships, breaking the 1974 U18 record set by John Tracey for his own new Irish record in the outdoor 3k at the age of 15, and his 2 CBP (Championship Best Performance) at last year’s National Indoor Championships in both U17 Boys 800m and 1500m events. Gold U18 1500m at Tailteann Interprovincial Games, 23rd June 2018 at Santry. The Club would like to organise a group entry of children for this year’s Longford St. Patrick’s Day Parade. 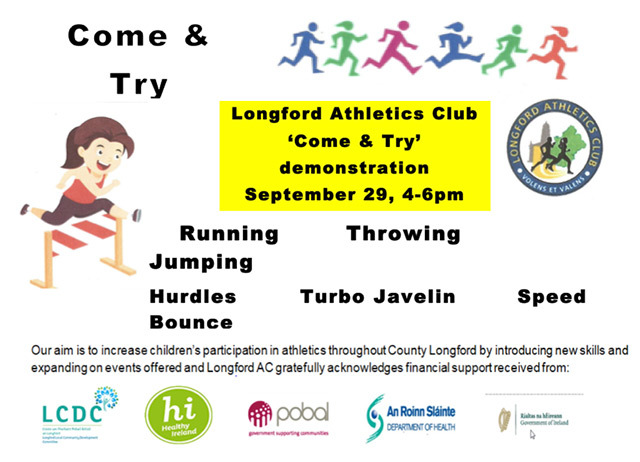 If your child would like to be involved and march with the Longford AC group please give your child’s name and a contact number to Paul Grealy\John Fitzpatrick at Little Athletics so we can send you more details. If any parent is interested to help co-ordinate or has any ideas for a theme we’d love to hear your input! 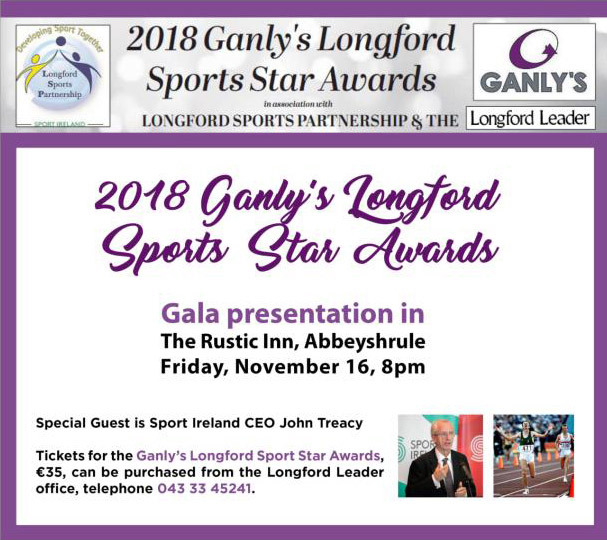 The Annual Longford Sports Star Awards for 2018 take place this Friday evening, November 16th at The Rustic Inn, Abbeyshrule. 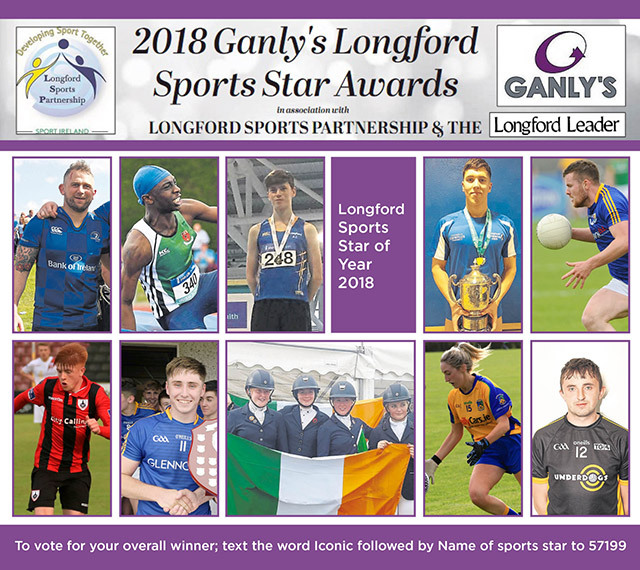 This is the 2nd year Ganley’s have sponsored the Awards which are organised by the Longford Sports Partnership and the Longford Leader to recognise the achievements of Longford athletes in a wide variety of sports from local level progressing to provincial, national and international platforms. It was fantastic to see several Longford Athletics Club members, Adrianna Melia, Issy Masterson, Yemi and Funmi Talabi, all selected in the monthly categories. Congratulations to both Nelvin Appiah and Cian McPhillips who will be presented with a memento on the night for being voted as one of the monthly winners. Several of the juvenile coaches will be in attendance on the night and are all looking forward to hear Guest of Honour John Treacy, the CEO of Sport Ireland, Irish Olympian and cross country World Champion. There will be great anticipation on the night to hear who has been selected Junior Sportsperson of the Year, Community/Club Volunteer of the Year, Hall of Fame inductee and Sports Ability Award. For 6 weeks, starting on Monday November 12th, 6:55-8pm in the gymnasium at The Mall.